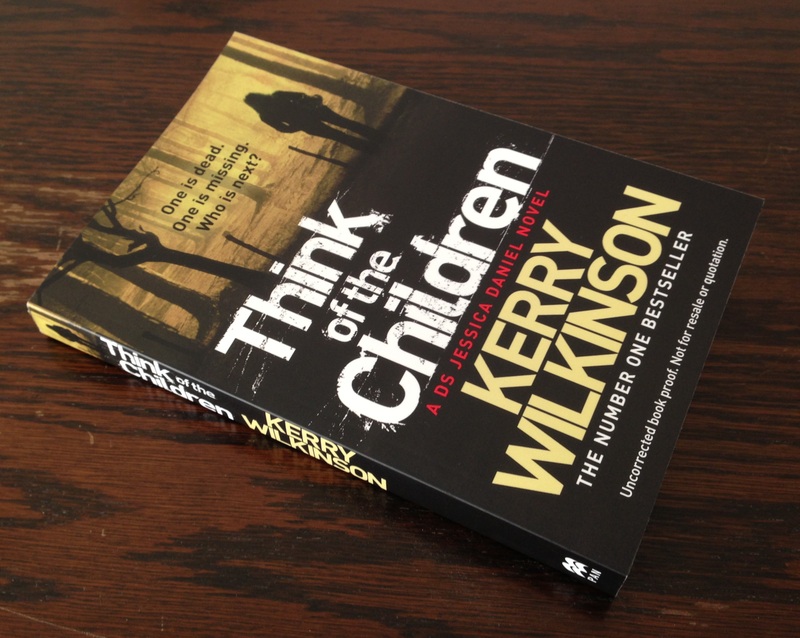 It is now less than three months until the release of Think of the Children. It has – literally – been over a year in the making already. I am giving away FIVE copies of the paperback proof edition. This is the copy that goes out to reviewers / bookshops / newspapers, etc, so aren’t the final paperbacks you’ll be able to buy in shops. As such, they are limited edition. I’ve even soiled them with my incomprehensible scrawl. If you’d like the opportunity to read Think of the Children a full two and a bit months before anyone else, just answer this question: WHAT IS THE NAME OF JESSICA’S BOYFRIEND IN VIGILANTE? Assuming your answer is correct, you will go into the draw. The closing date is 18:00 BST on 14 December 2012 (Obviously we’ll hope to get the book to you before Christmas). I will post the winners’ names here and on the Facebook group’s wall. Please read these competition rules carefully. If you enter the competition, I will assume that you have read these rules and that you agree to them. 2. Competitions are not open to employees (or members of their immediate families) of Macmillan, Macmillan Ltd or any subsidiary of Macmillan Ltd, nor anyone that I know personally. 6. Sending an e-mail is not proof that I have received your entry. No responsibility can be accepted for entries that are lost or delayed, or which are not received for any reason. 7. The winner will be drawn at random from those who answer the question correctly. 9. You will be notified by e-mail. The decision will be final, and no correspondence will be entered into. 10. The winner’s name will be posted on kerrywilkinson.com and facebook.com/JessicaDanielBooks after the closing date. 11. By entering the competition the winner agrees to participate in such promotional activity and material as Macmillan may require. 15. This competition is being run by Pan Macmillan Ltd of Brunel Road, Houndmills, Basingstoke, Hampshire (“Macmillan”) in association with Kerry Wilkinson. 16. Macmillan will endeavour to send prizes within a month of the competition end date but cannot guarantee this delivery time.